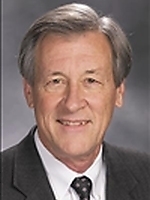 Info Representative John Black, a Republican, represents parts of Webster and Greene counties (District 137) in the Missouri House of Representatives. He was elected to his first two-year term in November 2018. Prior to joining the legislature, Black worked as an attorney and chemical engineer. He served as General Counsel for City Utilities in Springfield for more than a decade. Black also was the first in-house General Counsel for Southwest Missouri State University (now Missouri State). Black is a member of the Marshfield United Methodist Church and the Marshfield Optimist Club. He is a former member of the Marshfield School Board as well as the Springfield Area Chamber Of Commerce. A graduate of Strafford High School, Black holds degrees in Chemical Engineering and Engineering Management from the University of Missouri – Rolla (now Missouri S&T). He obtained his law degree from the University of Missouri - Columbia. Born in Springfield, Black currently resides in Marshfield with his wife, Cynthia, who is also an attorney. They have six children.